Are you seeking ways to cut videos online? If so, just follow my pace to see more detailed information about the hottest online video trimming tool in market. You don't have to take up any space to fit out your computer with other third-party tool. Ok, it's high time that you should look further to see what they can do for you. As an outstanding cloud-based collaborative video editing tool to trim videos online, WeVideo comes with free and premium version for users. Regarding the free one, you can possess 1GB cloud storage. The max video resolution is pegged at 480p while the exporting video length is restricted to 15 minutes per month. For the paid one, you can publish unlimited videos, output videos in 4K Ultra HD resolution, add motion titles, create square and horizontal videos, make personalized templates, etc. Most of all, there is no need for you to worry about the storage space as WeVideo will save all you projects, complete or incomplete, directly to your Google drive account. Hence, it will not take up your computer's space. 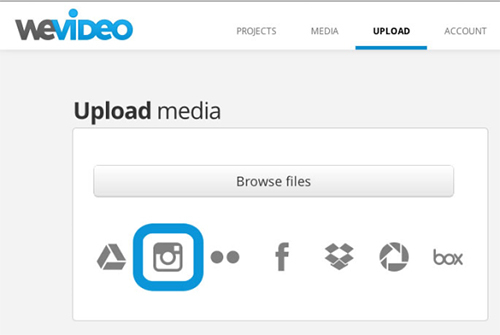 Moreover, you can also share your finished video to YouTube, Twitter, Facebook or Vimeo as you like. For novices, Online Video Cutter is another good choice. It provides flexible solutions for you to add video files. Directly select one from the local folder, search one from Google Drive or attach a website URL. As long as the file size doesn't excess 500MB, it can crop videos online in fast way. Comprehensively, it empowers you to rotate the designated videos to 90, 180 or 270 degrees at your own will. Under the help of it, you can adjust quality, choose format and change frame proportions. However, to make it work for you, you have to use the Chrome browser and install the Chrome app. When everything gets ready, download the processed video to your computer or save it to the Google Drive or Dropbox. Similar to other top-notch video programs, Kizoa is not a simple online video splitter but a full-featured video editor. With an intuitive operating interface, it is able to create videos by adding custom music and transition effects. 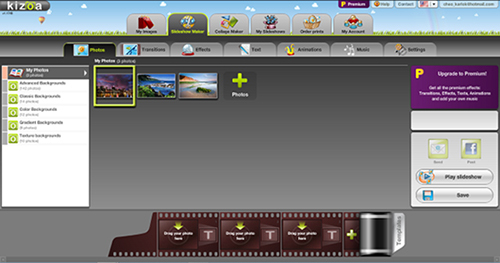 Other than that, it also offers extensive functions, like cutting videos into small clips, overlaying music, applying special effects, adding text, etc. To enrich your video files, this excellent tool as well gives you abundant templates, customization options, animations and more. By drawing support from Kizoa, you will be shocked at the ease of personalizing the details of your video clips, such as position, duration, size, timing, etc. Clearly, what makes Kizoa remarkable is its ability to access all incredible features without registration requirement. Price: Paid with free version. The paid plans with a one-time fee of $29.99, $49.99, $99.99, or $299.99 separately. Cut, trim, add effects, import custom music, etc. FileLab is a fairly handy online video trimmer. Its user-friendly interface delivers the biggest benefit for you to cut videos. You can get an access to trim, cut, split, rotate, merge, mix together with add text, transition, music and effects. It is also well developed with a wide variety of tools, all supporting cutting HD video as well as other common videos. If you'd like to give your videos the right looks, you can apply some video effects as you please, for instance, Old Movie, Pencil Sketch and TV Simulation. What's more, FileLab Video Editor delivers wonderful platform for the addition of video overlays and privilege of setting their right direction, transparency and position. 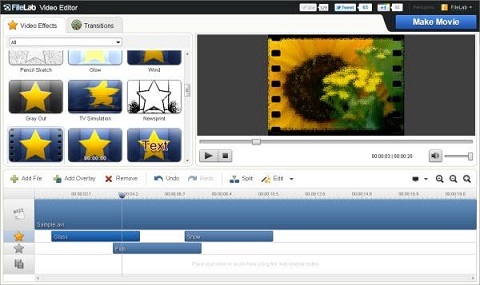 Doing well in cropping, trimming, rotating and clipping any video files, Clipchamp Video Editor is considered as a dedicated in-browser video splitter. The attractive point is that its clean and tidy work platform allows newbies to fulfill their video editing within very less time and output them straightly on popular social media sites, like YouTube, Facebook, Vimeo, etc. for sharing. Amazingly, there is no file size limit. Briefly, you can upload any video files without considering the max size. In addition to split videos online, it also facilitates you to adjust contrast, brightness and saturation. Its well-arranged customize settings enables you to choose resolution, format, quality and other optimization options in your way. Price: Paid with free version. Business plan asks $9.92/mo. 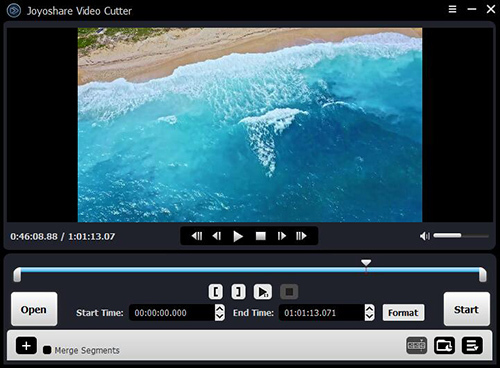 Unlike the online video cutter software, Joyoshare Video Cutter is a reliable offline video trimming tool that offers forthright options for each user. It has efficient capability to deal with large video files at up to 60X faster speed. Equipped with well-designed timeline and controller, it gets any cutting area done exactly. Alternatively, you will appreciate its broad compatibility with a large wide of formats and devices. Certainly, it supports customizing quality, size, codec, channel, bitrate, volume, etc. 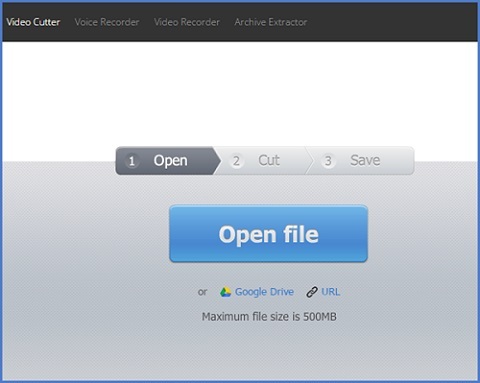 You can adopt this smart tool to extract audio from video and combine different clips into one losslessly. Price: Low-budget ($29.95 for yearly license) with free version. Note: The top-listed 5 best online video cutter programs come out with its own advantages and drawbacks. If you hit like for its quick performance, you can take whichever you prefer into consideration. Surely, if you want to accomplish any cutting task without worry about internet connection, offline workaround is more stable and safer.